Which QuickBooks software is right for you? QuickBooks is an accounting software developed by Intuit and is used by more than 4 million customers around the world. QuickBooks comes in desktop versions or online versions. 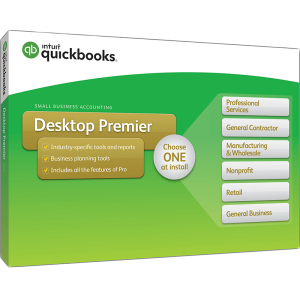 QuickBooks Pro is for small businesses that have general accounting needs. QuickBooks Premier is for businesses who have more industry-specific needs and may have more advanced inventory tracking requirements. QuickBooks Enterprise is the most robust and feature-rich version, with more user permissions and more simultaneous user access, advanced inventory and advanced pricing capabilities and access to more reports. QuickBooks Online is for any business who wants the freedom of tracking their accounting from anywhere. QuickBooks Online is for any business who wants the freedom of tracking their accounting from anywhere at anytime. QuickBooks Online allows you to work within your QuickBooks from your phone, tablet, or pc. Receipt Tracking – Take a picture of your receipts with your phone and upload it straight into QuickBooks. Banking Integration – Save time with less data entry. Automatic downloading and categorization of your bank and credit card transactions. Automatic Backups – Your accounting data is always safe and secure. You will never again have to worry about data loss from hardware malfunctions with locally hosted accounting software. Shared Access – Invite up to two accounting professionals (your accountant and bookkeeper) to work on your QuickBooks file from anywhere without having to send them a copy of the file or worrying about keeping both files updated. 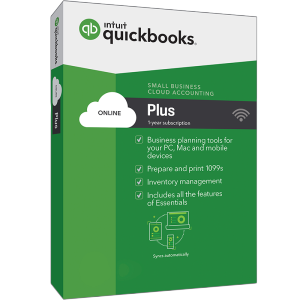 Simultaneous Access – Up to 3 users with QuickBooks Online Essentials and up to 5 users with QuickBooks Online Plus. 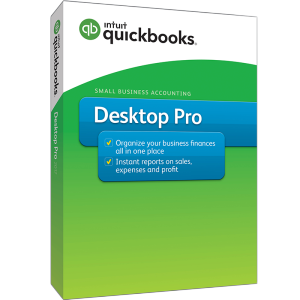 QuickBooks Pro is for small businesses that have general accounting needs. QuickBooks Pro has many features that will save you time and keep you organized. Company Snapshot – Manage your business income and expenses and easily track how your business is doing. Smart Search Technology – Find names, account numbers or transaction amounts quickly and efficiently. Doc Center – Keep track of important business documents all in one place. Scheduled Reports Center – Better understand your finances with reports that can be created effortlessly using the many available filters. Create, schedule, run and email your reports with easy setup and run automatically. Simultaneous Access – Mulitple employees can work on your company file at the same time. Allows up to 3 users with a multi-user license. QuickBooks Premier is for businesses who have more industry-specific needs and may have more advanced inventory tracking requirements. Premier includes all the same great features that QuickBooks Pro has and provides forms and reports specific to your industry. Inventory Center – Manage all your inventory items and track financial data separately by location, department, or business. Set Customer Type – Allows grouping of your customers by category and setting different product or service prices by those groups. Multi-stage Invoicing – Invoice clients progressively by job phase, time and material, or percentage of completion. User permissions – Only allow each user access where you want them to be. Sales Order – Keep track of customer orders and any back order of parts that have not shipped yet via Sales Order. Can group Sales Orders together for an individual customer for invoicing. More Simultaneous Access – Mulitple employees can work on your company file at the same time. Allows up to 2 more simultaneous users (5 total) than QuickBooks Pro with a multi-user license. 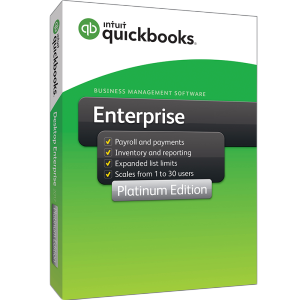 QuickBooks Enterprise Solutions is the most feature-rich edition of QuickBooks desktop products for companies with greater needs. It has all the same features that QuickBooks Pro and Premier have and more. Growing businesses will appreciate the power behind this edition. Advanced Inventory – Prioritize your sales orders and create custom pick lists to get those crucial sales items out the door. 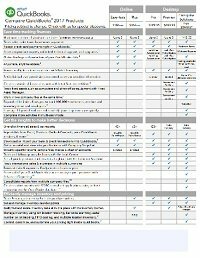 Three new inventory reports included are Inventory Valuation Summary, Inventory Stock by Item and Assembly shortage. Mobile bar scanning makes tracking physical inventory a breeze. Advanced Pricing – Have better control over your pricing within QuickBooks. Set up pricing for quality discounts, manufacturer markdowns, preschedule promotions with future dates and price changes by class. Handle Larger Company Files – Greater storage capacity in this edition. Customer, Vendor, Employee, Item lists will max out at 14,500 in Pro/Premier and the file will start to run slow. In Enterprise, the lists can handle over 100,000+ list items. Open Two Company Files – Save time from logging in and out of each company file. Get to the data you need faster. User Permissions – More user permissions. Divide common tasks per users by creating Custom User roles and assigning users to those roles. Even More Simultaneous Access – Allows from 1-10 simultaneous users or up to 30 simultaneous users of QuickBooks Enterprise with a multi-user license. QuickBooks 2017 provides standard accounting and business tools for organizing your finances with ease. Start fast and get help when you need it with built-in tutorials, onscreen help, and free unlimited QuickBooks self-help support. As always, your satisfaction is guaranteed or your money back! With more than three million users, QuickBooks is the most widely used small-business accounting software. It’s recommended by accountants over any other product. A 16-year history of continuous improvement assures you of the simplest, most flexible software for your business. QuickBooks is the financial-management solution recommended by more accountants than any other, and Intuit guarantees your satisfaction or your money back. Accounting tasks, payroll¹, and routine paperwork are made easier with the new home page that lets you manage your entire business on a single screen. Boost efficiency with direct access to key tasks and information, Time Tracker¹ lets you track hours from anywhere, using a timesheet on the Web; download an entire set of timesheets from QuickBooks in one easy step. Improved Payroll¹ Center, which now has a review, confirm and submit process that provides full confirmation of payroll scheduling. Shipping Manager, at no extra charge, converts sales receipts or invoices into pre-filled FedEx or UPS shipping labels and forms, complete with tracking numbers and bar codes. Track business loans and fixed assets such as computers and other equipment, right along with your other financial data. QuickBooks automatically reminds users to include related expenses like vehicle expenses and job-related mileage. Import customers, vendors, items from Excel, or enter them on-the-fly as you pay bills and record sales. Help is available from QuickBooks Support, on-screen help, and active forums at Intuit’s website where other businesses like yours share advice, make it easy to ask questions, and one-on-one support & training is available here from our Certified QuickBooks Advisors 800-216-0763. Pay bills, print checks, track expenses, manage payroll¹, create customized estimates, invoices, purchase orders, and reports. Advanced tools help you customize forms with your company logo and additional information, such as terms or the types of credit cards you accept. You can even add text comments like notes, terms, conditions, transaction details and total customer balances. Monitor time and job costs: Track expenses automatically as you pay bills. Create estimates and invoices in seconds. QuickBooks Pro comes with pre-designed reports to help you make better business decisions. Get the totals you need for tax forms instantly, see profit and loss, view inventory on hand, and more. Merge QuickBooks data with Microsoft Word: QuickBooks comes with a variety of customer and vendor letters that you can create using Microsoft Word that merge information from QuickBooks, such as customer name, address, and current balance. Share data easily with Excel, Word, and Outlook; easily convert Peachtree data to QuickBooks. Tracks sales orders, inventory components, and finished goods or “assemblies” (bill of material). Create PO’s from Sales orders – great for drop ship orders. All desktop QuickBooks software comes with a 60-Day Money-Back Guarantee. Try QuickBooks 2017 software for 60 days, if you are not satisfied, return it with a dated receipt for a full refund of purchase price.